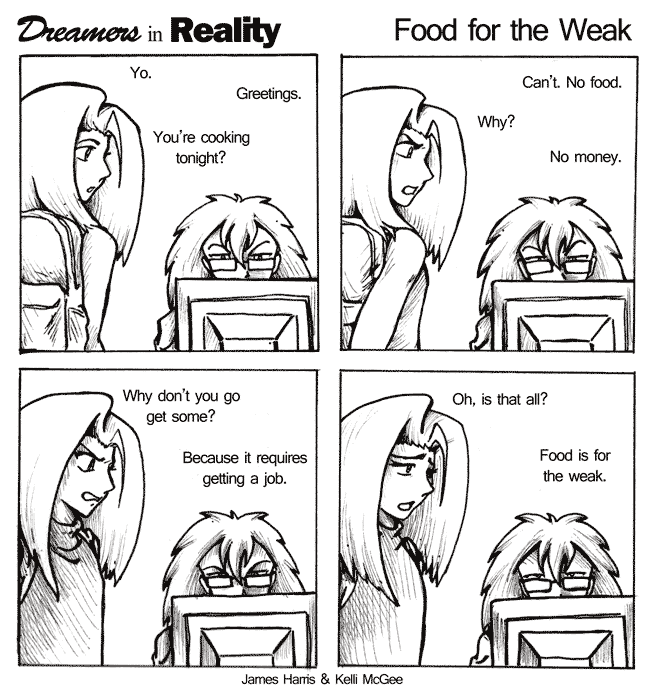 Hey, I have ANOTHER new webcomic! But this one is co-created by myself and my older brother, James! 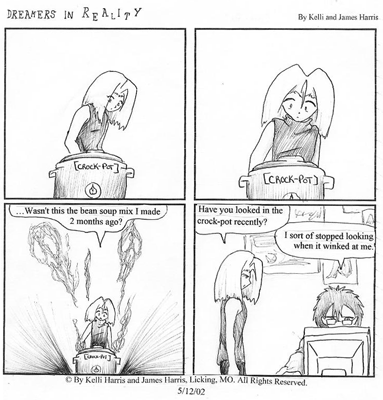 It's called Dreamers in Reality, a light hearted comic about a brother and sister who have different paths to cope with their realities. It was started way back in 2002, shortly after a tragic incident. Laughter was how we coped but as we grew up, we parted ways a bit and sadly, Dreamers in Reality fell by the wayside. So, 15 years later, we've decided to pick it back up again! First, we are remastering some of the best comics we did. For the few who remember the originals, it was inked, text was typed in Comic Sans, printed, cut and GLUED onto the comic. It looks rough, as you can see below. Yeeeaaahhhh, good times though! 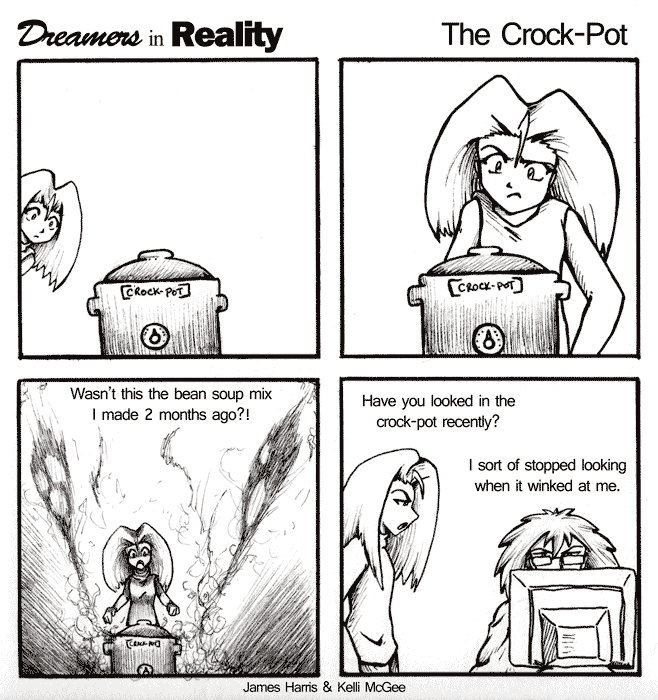 After we've remastered some of the best, then we'll proudly present new comics of Dreamers in Reality, 15 Years Later! I hope you're as excited as we are. And we promise, we won't glue any text anymore!